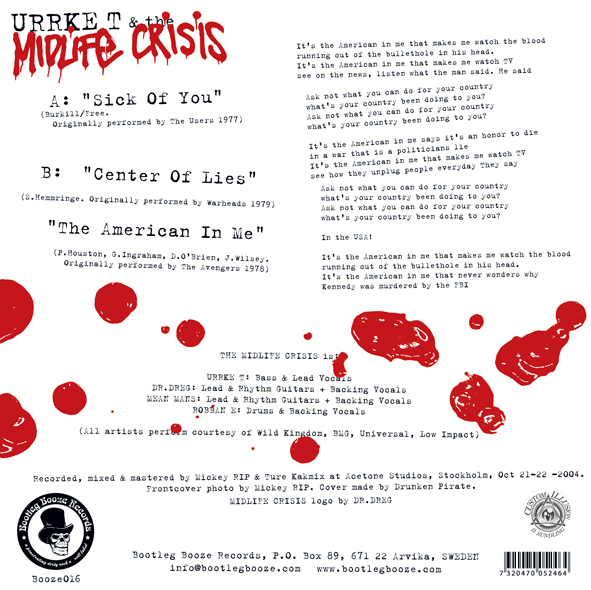 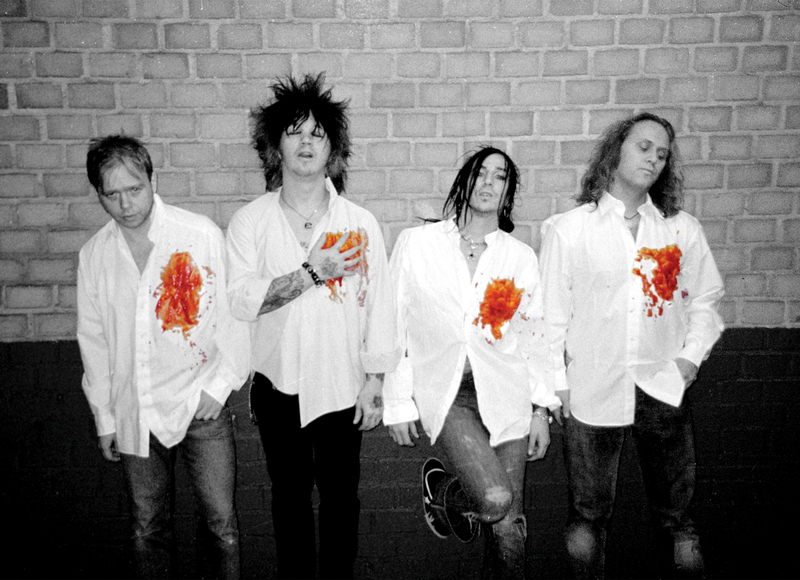 Urrke T (Maryslim), Dregen (Backyard Babies), Måns M (Maggots) and Robban E (Hellacopters) – the cream of the Swedish punk rock scene – has come together and recorded this spectacular 7″. 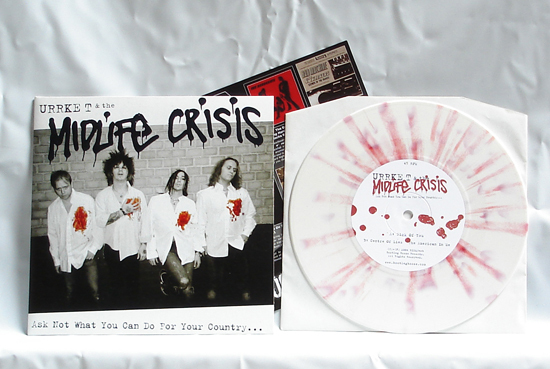 On this they’re dusting off three good old punk tunes – creating a future classic! Get it while it’s hot people! 1800 white vinyl with red splatter. 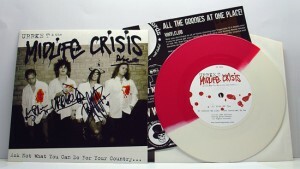 200 Boozersclub editions on 50/50 red/white vinyl. 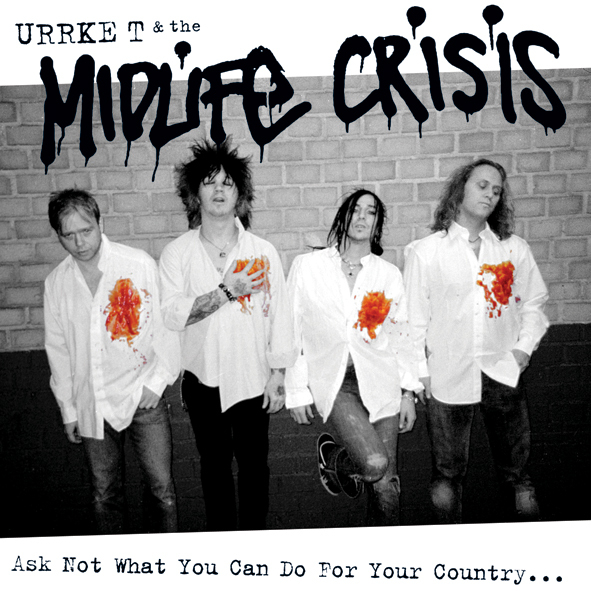 Recorded, mastered and mixed by Mickey RIP & Ture Kakmix at Acetone Studios, Stockholm, Oct 21-22 2004. 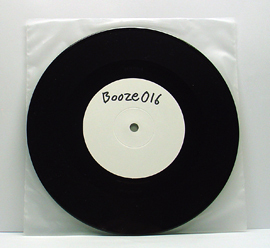 View all reviews of'Booze016' here.